After you arrive inside the gate, you will buy your ticket at the admission office. The tours run every 30 minutes on the hour, and you’ll have to wait around for the next one to start if you are early (or running late). The tour guide as well as a hard hat is mandatory as the temple is still under construction. You can either walk to the stair case down or take a ride in a horse draw cart. Walking is faster and less smelly. The temple is built on a small peninsula overlooking the bay and is quite a beautiful sight. Your guide will show you down and around the temple. 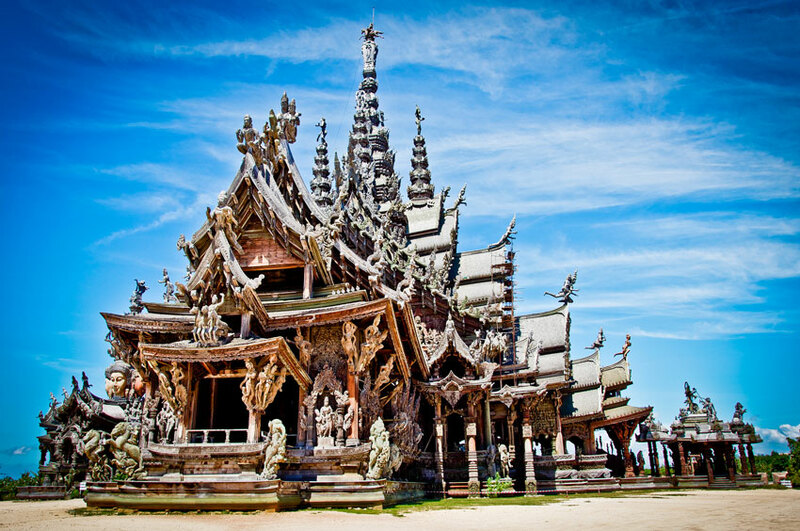 It is quite an amazing place, completely covered with intricate wood carvings. Bring your camera as you’ll want to take lots of photos. Your guide will show you around the temple and explain the meaning and history behind the temple. They are very well informed and you get a lot out of it. Once the tour is over you are free to roam about the grounds and take pics or just explore. If you get there at a good time you can also see one of the shows they have running throughout the day: dolphins in the lagoon or a traditional Thai culture and dance exhibition. Or maybe even take a ride on an elephant. More details on those and more activities below. Closing Time: Last Tour runs half hour before close. Dress Code: Shoulders and Knees covered is a good rule of thumb when going to a Buddhist temple or building. I’ve never had any issues wearing shorts and a t-shirt, but my shorts usually cover my knees. They aren’t too strict, but it depends on who is doing checking the day you arrive. If your attire is not acceptable they do have sarongs you can borrow by leaving a small deposit which you get back on return. Dolphin Show: Shows start at 11:30 and 15:30 daily at the onsite lagoon. No additional fee is require. Dolphins perform for their trainers and the delight of the crowd. Dancing Show: The traditional Thai dancing starts at 11:30 and 15:30 on a stage near the main building. 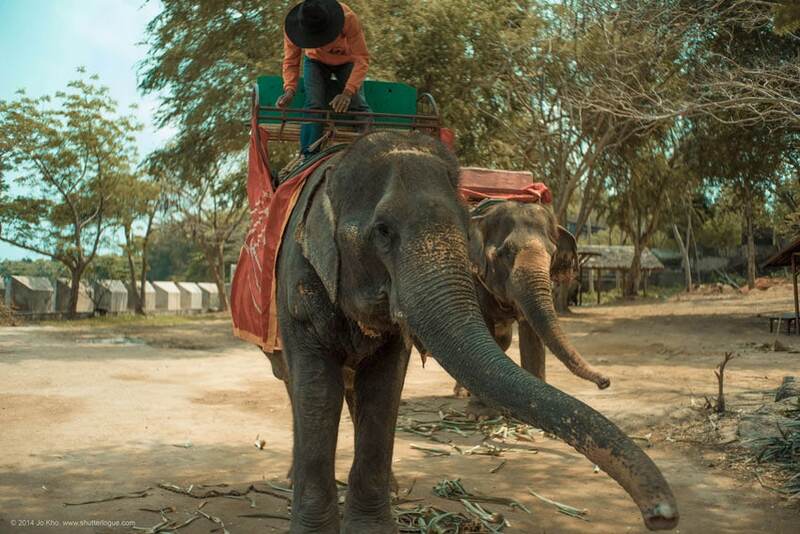 Elephant Ride: If you are interested in riding around on an elephant you can do that too. All I have to say is, poor elephants. Other Activities: They also offer ATV rides and a rifle shooting range on site. In addition there is the option to pay extra for a 30 minute speed boat ride that takes you around the tip of the peninsula and back. Food: There is a very nice restaurant on site that overlooks the Sanctuary of truth and the ocean. It is a nice place to relax at the end of your tour, grab some food and a cold drink and take in the beautiful view. The Naklua Kitchen’s hours are 10:00 – 22:00 daily. The idea of the Sanctuary of truth was conceived by Thai millionaire Lek Viriyaphant who was also behind the Ancient City and Erawan Shrine in Bangkok. Lek passed away in 2000 and will never be able to see his vision for the temple be fully realized. The temple is a combination of religion and philosophy, incorporating the great religions and peoples of the region. While the architecture displays a distinct Thai fashion, you can see the influences of Hindu, Khmer, Buddhist, and Chinese cultures. 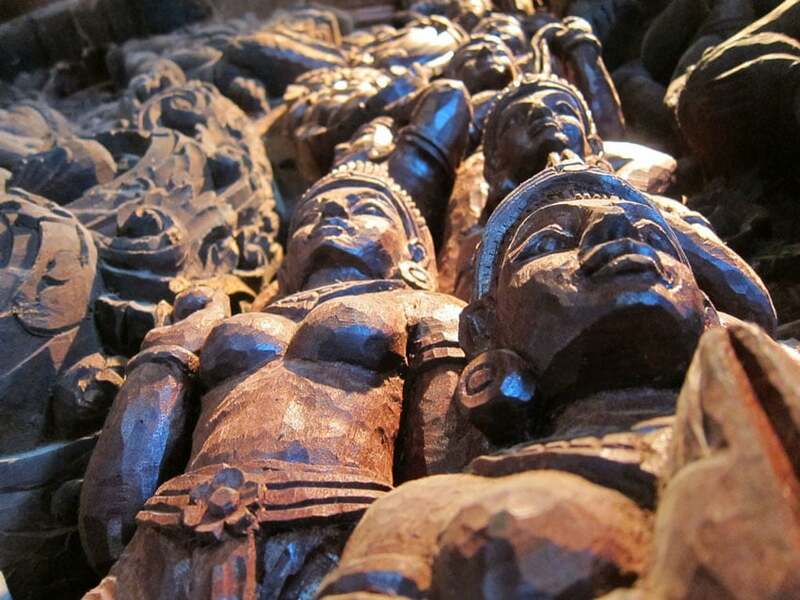 Carvings of the gods of all the religions can be found in the intricately crafted woodwork. Part of the reason the Sanctuary is taking so long to complete is that is all being carved by hand, and not using any metal nails. It is a work of master craftsmanship. The Sanctuary of Truth main building consists of four outer halls and the central hall. Each one of these has a particular meaning and influence. 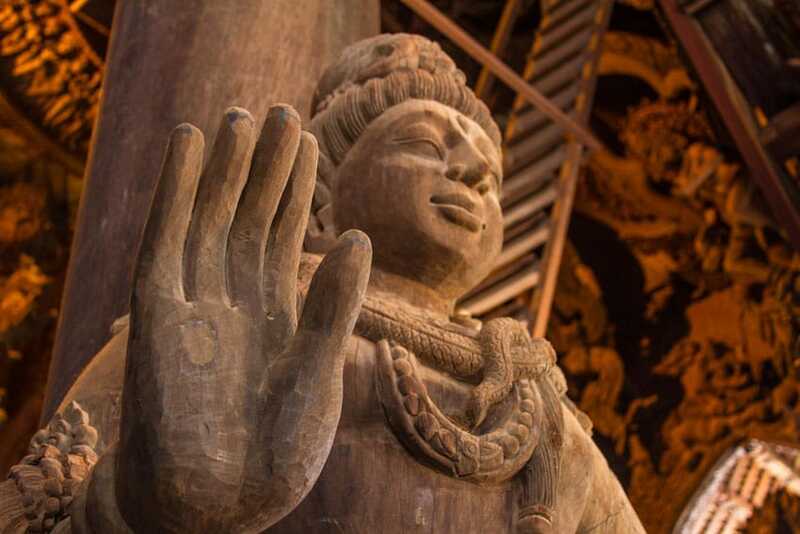 There is a very deep and philosophical meaning behind the temple and the artwork in each space. It is well worth getting a tour guide who can explain the deeper meanings and connection to world religions. When was the Sanctuary of Truth Built? Trick question. Building on the temple started in 1981, however it is still not complete and work goes on daily. It isn’t scheduled to be completed until 2050. The age of the temple is over 30 years old and yet it is not even half way done, now that is impressive. The intro is a bit long on this next one, but it provides an great overview of the history of the temple and has some great professional video footage. Absolutely. The temple is truly and amazing place. A combination of religion, art, philosophy, and fine craftsmanship you don’t see much of these days. 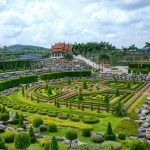 Add to that all the other available activities included with the price of your ticket and you have a great way to spend a few hours in Pattaya. 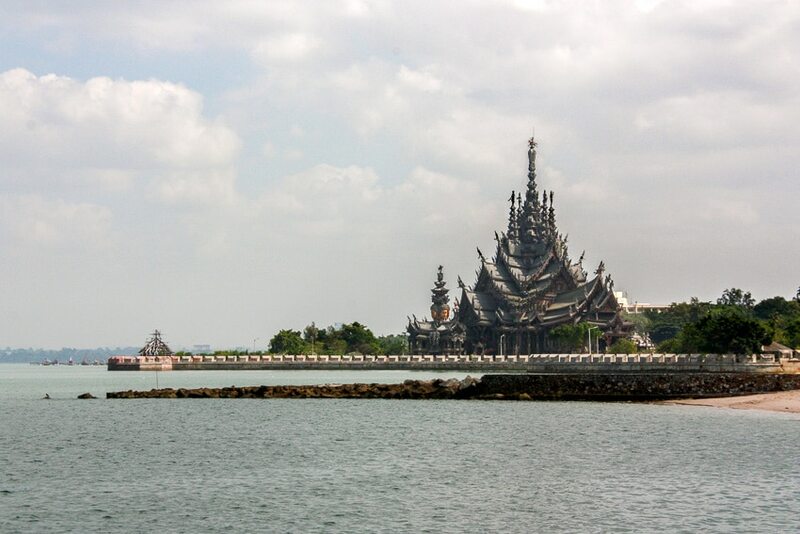 The Sanctuary of Truth is located in Naklua, just north of Pattaya a ways past the dolphin round about. I’d recommend renting a Songthaew (Baht bus) to take you there, wait for you, then drive you back to your hotel. You should be able to negotiate a rate of between 200 – 300 baht. If you are traveling by yourself you could also take a motorcycle taxi if you like living dangerously. 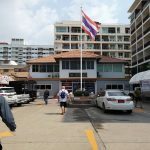 You can probably get a rate of 60 – 80 THB. Maybe better if you are good at negotiations. I am not. A nice air conditioned taxi is also an option. I don’t know what it costs, other than it is more expensive than a baht bus. If you’ve taken a taxi there let me know the rates in the comments and I’ll update the review. You can also take the normal baht bus system, changing several times before finally walking or getting a motorcycle taxi the rest of the way. The least fun, slowest, and in the end not much cheaper. Just a question do we need to pay extra for elephant trekking? Hi Ann. Yes the elephant ride is an extra cost on top of the entrance fee. I believe it costs around 900 Baht last time I was there. They also offer several packages at the ticket counter if you want to try a couple different activities. 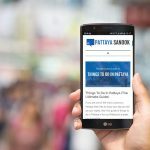 I hope you enjoy the visit, I think the temple is one of the better attractions around Pattaya. Hi, do we have to pay the entrance fee just to eat at the restaurant?